Make the cupcakes and cake balls following the directions on the cake mix package – or use ones you bought. Just make sure they do not have icing on them. Cut the pretzels in half (this takes practice) and press the one pretzel half into top of each cake ball to make the antlers. One per side. Squeeze the cookie icing on the top of each cake ball letting it run down the sides. It is best to do this after positioning the pretzels so the holes the pretzels make are sealed with the icing. Make sure the icing covers the cake ball. Use a knife to spread it over areas that the icing misses as it runs down the sides of the cake balls if necessary. Allow the cookie icing to dry slightly. You do not want it completely dry, but the drier the icing is, the faster the next step will go. 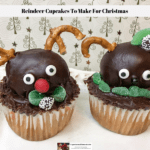 Press the reindeer’s eyes and nose into the icing on the cake balls. Keep an eye on them because if the icing is not hard enough they will slide. 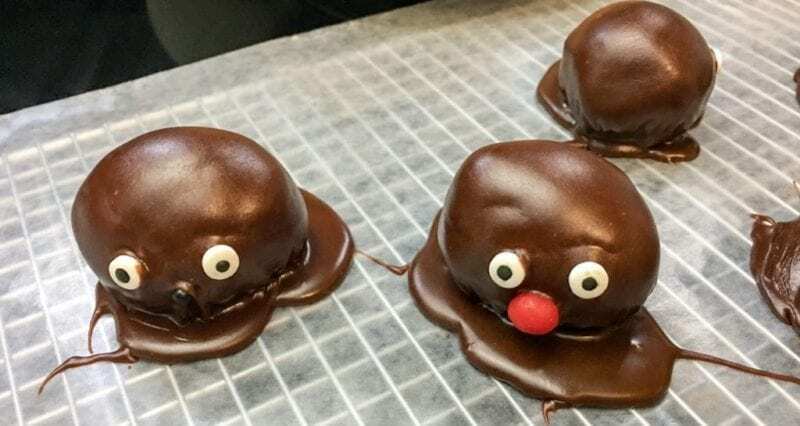 An alternative to this is to let the icing dry completely then use a small dot of fresh icing, or edible adhesive, to adhere the eyes and nose to the cake ball. 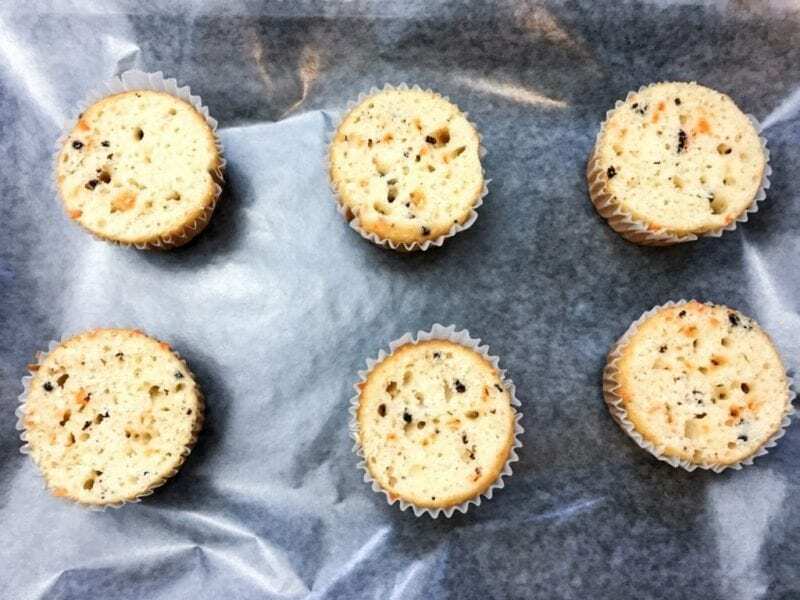 Cut the tops off the cooled cupcakes so the top of the cupcake is flat. Spread a thin layer of icing on top of the cupcake. You may still see some cake below the icing at this point. 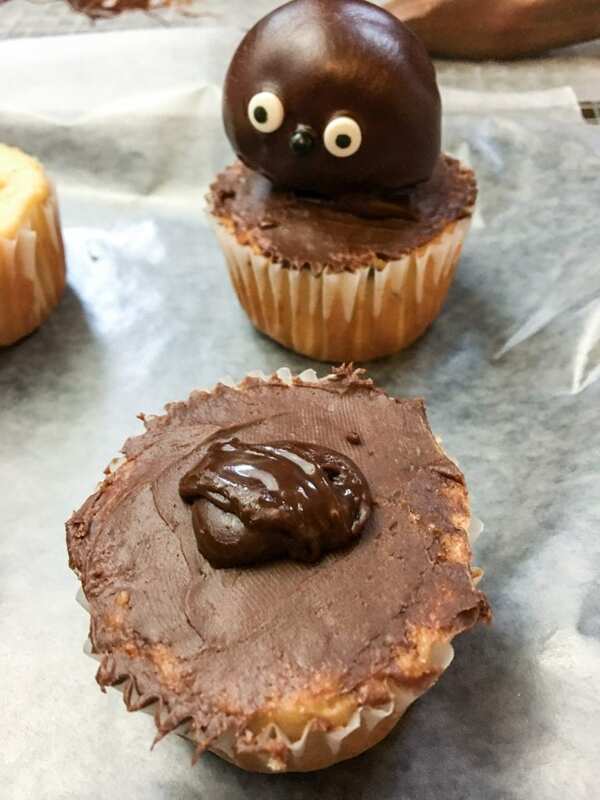 Squeeze some of the cookie icing in a puddle in the center of the top of the cupcake. Slide a flat cake spatula under each cake ball and lift it onto the top of the cupcake. Repeat steps 9 and 10 until all the cake ball reindeers are on top of a cupcake. Once this is done, it is time to decorate the cupcakes. Use a rolling pin to slightly flatten the spice drops. If you roll them too thin, they will stick to the rolling pin or the surface you are rolling them on. 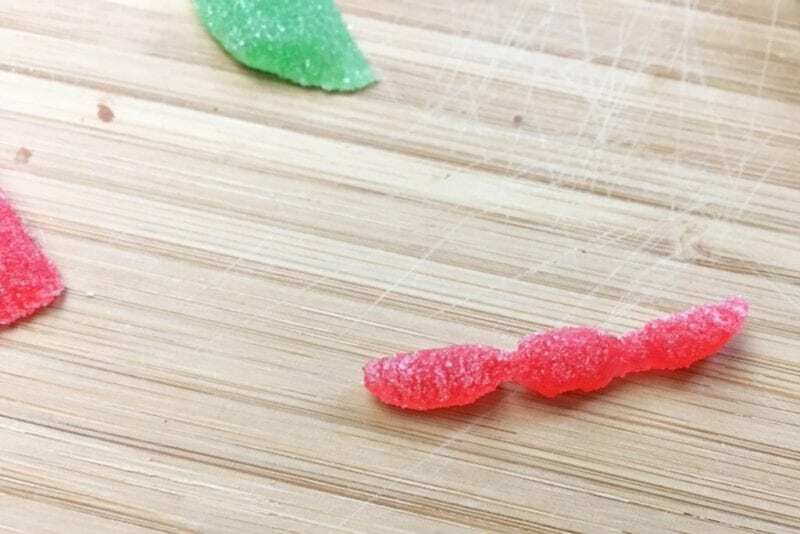 Cut some of the spice drops in half and then in half again to make a bow. Each spice drop makes two bows. Position the triangle shapes together to create a bow and press on the center of each bow to attach the gum drop pieces to one another. 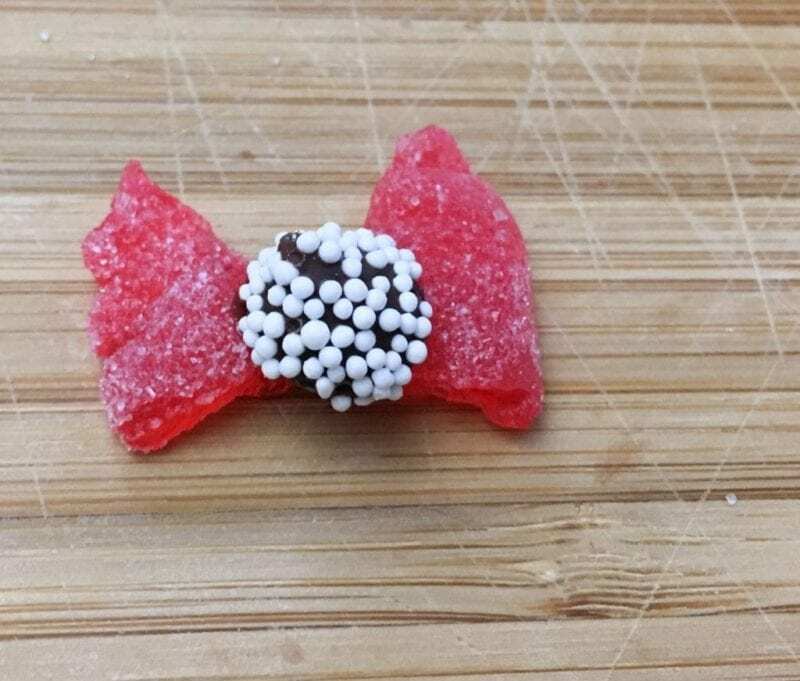 Then use some cookie icing, or edible adhesive, to attach one Sno-Caps candy to the center of the bow. 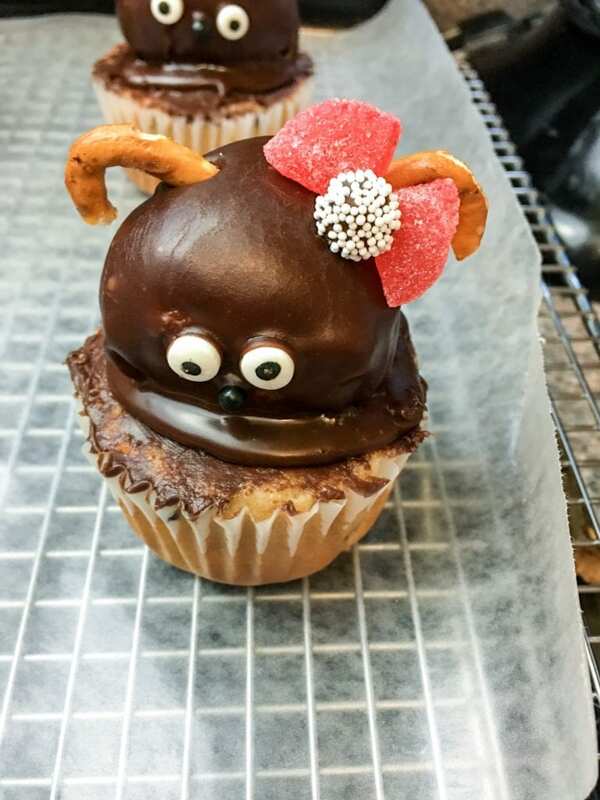 Place a dot of the cookie frosting, or edible adhesive, on the top of the reindeers head in front of an antler, then position the back of the bow in the icing or edible adhesive. Once all the bows are attached, add more frosting to the top of the cupcake to finish it off. Roll out a few more spice drops and slightly flatten them. 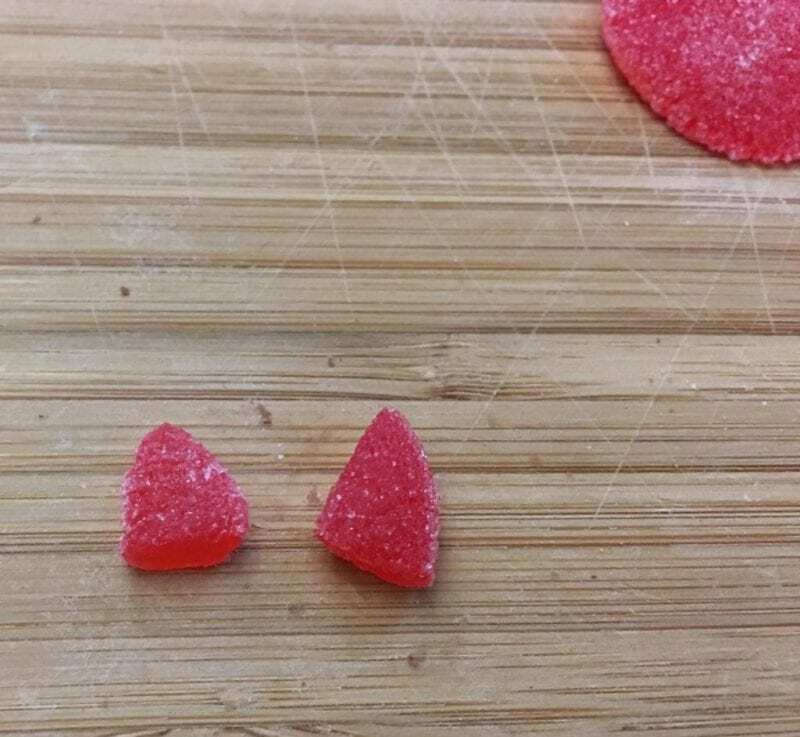 Then cut the spice drops into thirds. Carefully twist the flattened pieces to give them some shape, then position them in the area between the cake ball and the cupcake to create a collar. The icing will hold the collar into place as long as it has not already dried. Set the reindeer cupcakes aside and let the icing harden. Serve when you are ready.